Skyworth launches its new M20 Smart LED series. The new Smart LED series includes three models in screen sizes of smart led tv 32 inch, smart tv 43 inch and 49 inches. Skyworth launches the series of M20 Smart LED televisions in the Indian market in exclusive partnership with Amazon.in. The new series includes three models in screen sizes of 32 inches, smart tv 43 inch and 49 inches. They come packed with features like built-in games, built-in Wi-Fi, live TV apps, NetRange app stores and APK install features that help you download additional apps. It is said to offer a multimedia home theater experience with its smart TV capabilities and good image quality. It comes equipped with DTS sound to provide high-quality audio output. In addition, you also get several options for image and audio mode. 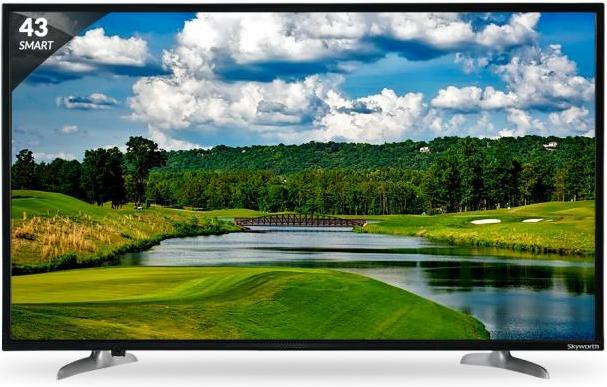 The 43-inch and 49-inch variants of the M20 Smart LED TV are compatible with full-HD images while the 32-inch panel has HD Ready compatibility. The two largest versions also have NetRange's App Store that allows you to download several applications to access on television. Available on Amazon, the Skyworth M20 Smart LED 32-inch TV is priced at Rs 12,999, while the smart tv 43 inch and 49-inch versions can be purchased for Rs 22,999 and Rs 29,999, respectively.